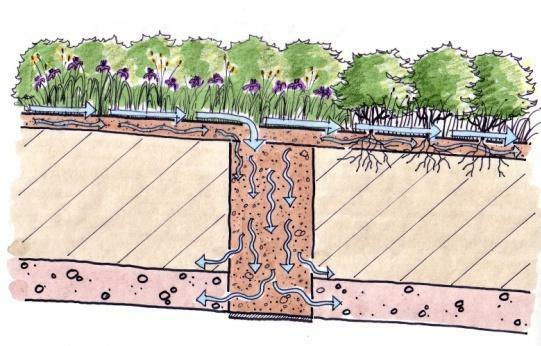 Stormwater management was the purpose of a drainage swale running through a development in Lititz, PA. The swale had significant erosion, was dominated by invasive plant species, and was not infiltrating and filtering run-off. 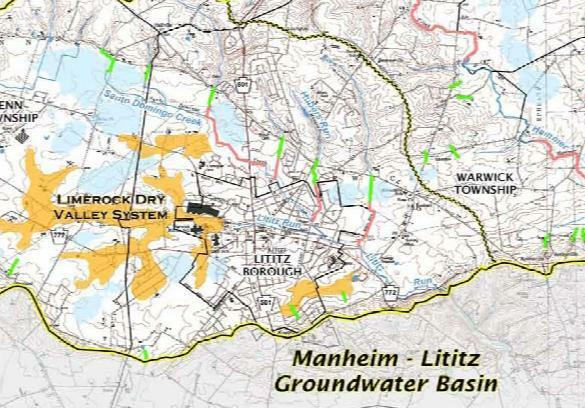 The site was identified as a Dry Stream Valley, one of four types of Critical Aquifer Recharge Areas or CARA’s designated by the Susquehanna River Basin Commission (SRBC) as part of the Northern Lancaster County Groundwater Study, completed in 2005. Magnetic logging studies, used to check for susceptibility of sinkhole formation, geoprobes, and field surveys were used to develop a four phase masterplan that would allow the site to once again function as an aquifer recharge area, provide a healthy native plant and wildlife habitat, and improve the aesthetics of the site for people who utilize the adjacent walking trail. Four phases of the restoration have been constructed over the past three years and monitoring continues to provide data in support of the effort to infiltrate and recharge the groundwater supply. Signs have been installed to educate the public about how the project works and its importance.